Welcome to the Grassland Hasmoor 'Our Bigger Story' website. This is part of the multi media evaluation of 15 Big Local areas in England. The website is an opportunity to follow what is changing in Grassland Hasmoor as a result of Big Local over a ten year period. 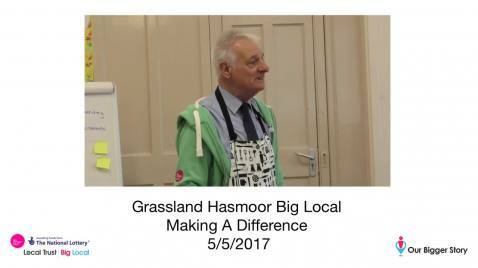 The aim of the website is to share the learning from everything that is happening in Grassland Hasmoor with other Big Local areas and highlight what works in communities with a wider audience of practitioners and policy makers. The Big Local chair, local residents and volunteers, and partner agencies, involved in the Pit Stop Diner, talk about how Big Local is making a difference.